So my series on Singapore is winding down, just as I’m about to leave the big NYC for a second Singaporean eat-stravaganza! I’ll be there for Chinese New Year, where they’ve got a TON of specialty foods specifically for the occasion. I’m stoked! 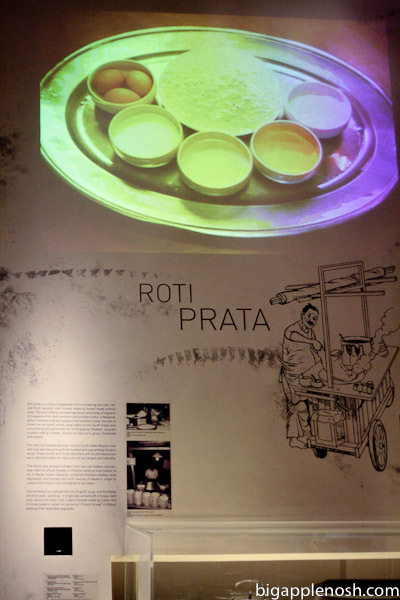 A whole exhibit on roti prata? Yes please! 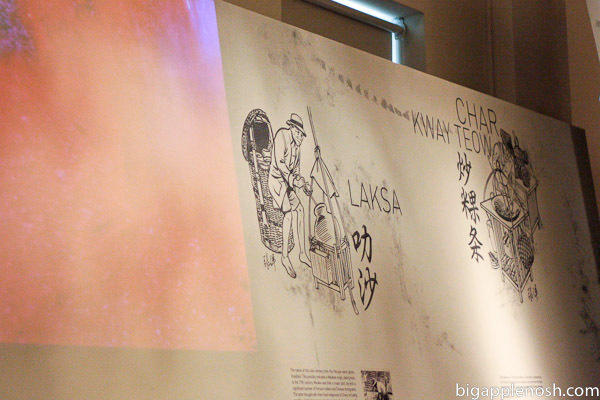 The screen on top had great footage of the skilled prata-makers. 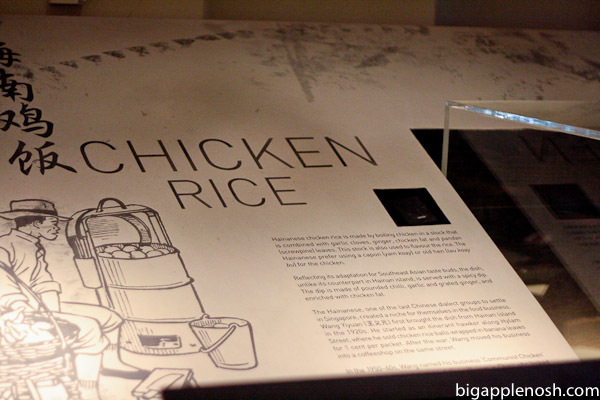 We can’t forget about one of my favorite dishes – chicken rice! 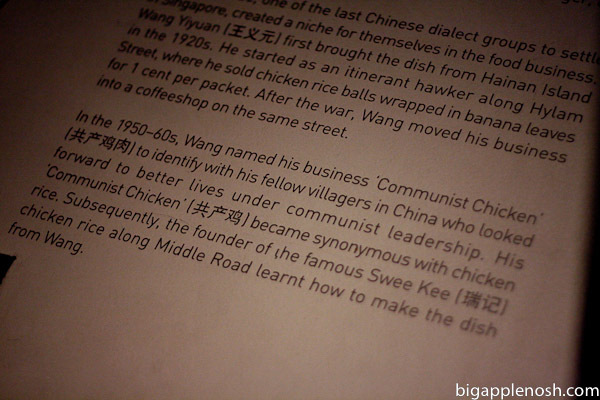 For an interesting piece of trivia, look at the second photo closely to see what this dish used to be called. 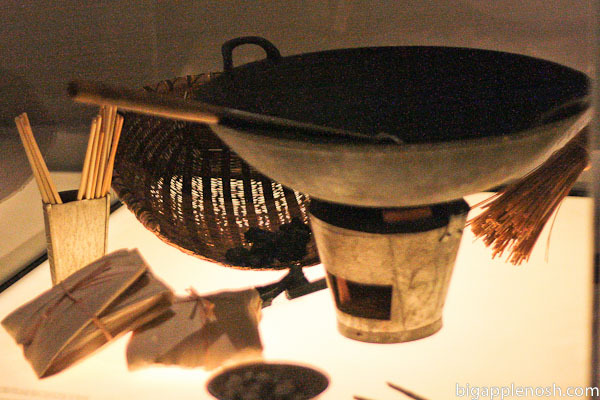 The food exhibit at the National Museum was a great introduction to Singaporean cuisine if you’re unfamiliar (or a great recap if you’ve stuffed yourself the prior week, ha!). 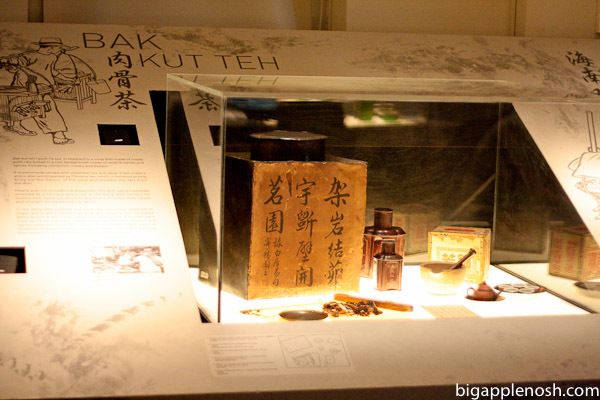 Now, where are these museums in the US? PS Have you guessed what those paddle things are in the first photo? 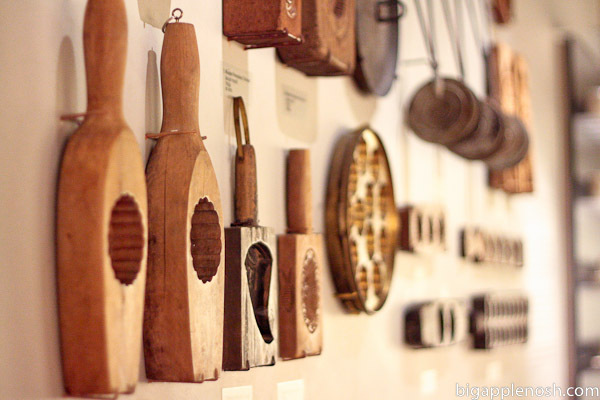 No, they’re not torture devices, but rather cake molds – the old-school Asian bundt pan, if you will! What was your guess? Cool! Have a wonderful trip! Have a great time! I've really enjoyed this series on your blog. I had no idea what those paddles were, except that I thought a similar display would look awesome in my kitchen. 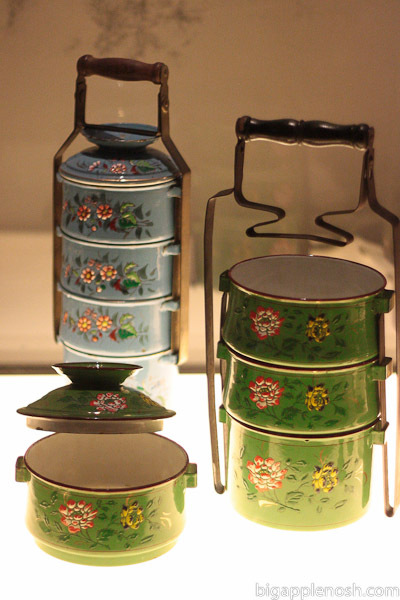 I saw tins like that at a display in Takashimaya, but unfortunately they weren't for sale. I want them much!! !